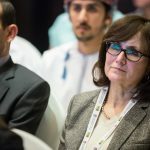 The WSA mobile Global congress turned Abu Dhabi into a hub for mobile innovation and creative applications. 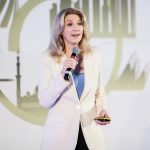 The congress provided a unique platform for knowledge exchange between creative minds, young entrepreneurs, international thought-leaders and industry experts. 420 participants from 67 countries coming together to share and discuss how ICTs can have a positive and sustainable impact on society. 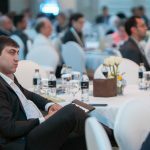 The core of the WSA-mobile Global Congress are the 40 winning applications, demonstrating how mobile innovation can have an impact on our society and support. The winners´ exhibition was a showcase of all solutions, demonstrating the richness and diversity of creative solutions word-wide. A great opportunity for hands-on demonstrations and interaction with the winners. 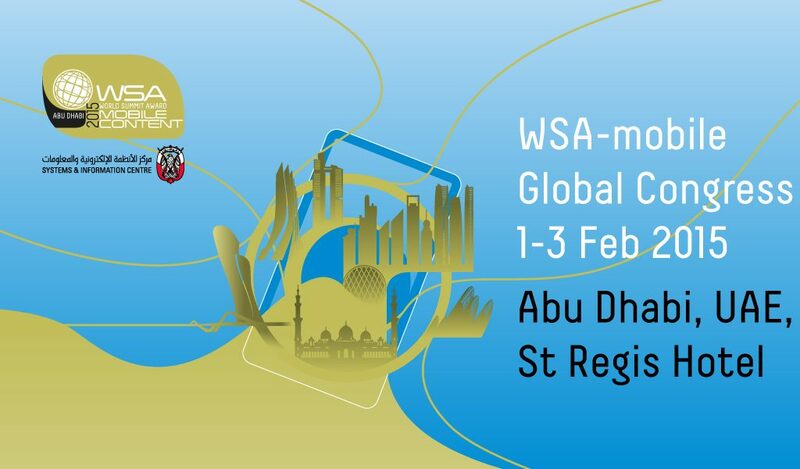 WSA reveived more than 500 submissions from over 100 countries. 67 international jurors selected the 5 best, creative and most innovative apps per category—the WSA-mobile Winners. 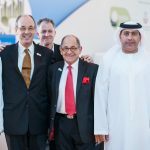 In Abu Dhabi the winners pitched their products in front of an experts jury. After the last pitch, the jury selected 1 Abu Dhabi Global Champion in each of the categories. 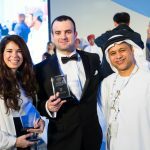 The winners this year demonstrate the richness and diversity of local content, and prove that mobile solutions are a key enabler for development. Large corporations are struggling to keep up with the fast pace of the technological evolution, the smartest ones have realized that they need to cooperate with young innovators and start-ups to keep track. 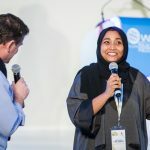 At the WSA-mobile Congress in Abu Dhabi the first Reverse Pitching session took place in the MENA region, and corporate shared what they have to offer, but also what they need from start-ups with the audience. At WSA-mobile Global Congress 2015 the audience worked in an interactive manner, in order to guarantee a knowledge transfer between all stake-holders.Hands-On workshops for creative working, mentoring session or interactive discussions on the development agenda of the United Nations, for each person, there was something to contribute and benefit from. IBTIKARI 3.0 is a tailored program to help cultivate entrepreneurial culture among UAE Nationals and encourage innovation around mobile innovation. 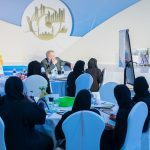 The Khalifa Fund for Enterprise Development conducted Ibtikari for the 3rd time in Abu Dhabi, but for the first time within the WSA-mobile Global Congress. 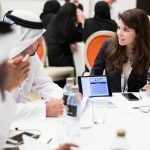 A great opportunity to match Emirati entrepreneurs with international mentors and start-ups.